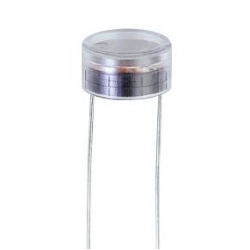 Silonex type NORPS12 Cadmium sulphide light dependent resistor. This large sized LDR captures more light than our standard sized LDR. Can be used with our laser modules to make a beam breaker for alarms, timing systems etc. Resistance @ 1ftc 5.4kO min, 12.6kO max.